Thanks for visiting Idaho butterflies. This Pacific Northwest state hosts close to one hundred and seventy five butterfly species, putting it in the above average category for state butterfly diversity. The list of Idaho butterflies is split according to families. It also includes pictures of some representative species. 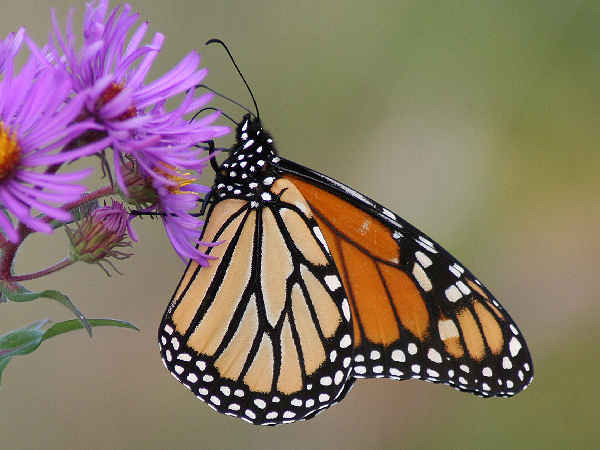 The top picture, for example, shows the Monarch butterfly, the official state butterfly. Habitat diversity and a geographical position near the Rocky mountains makes Idaho a nice area for Pieridae species. Like some other Northwestern and Western states, there’s a balance between the whites and yellows. 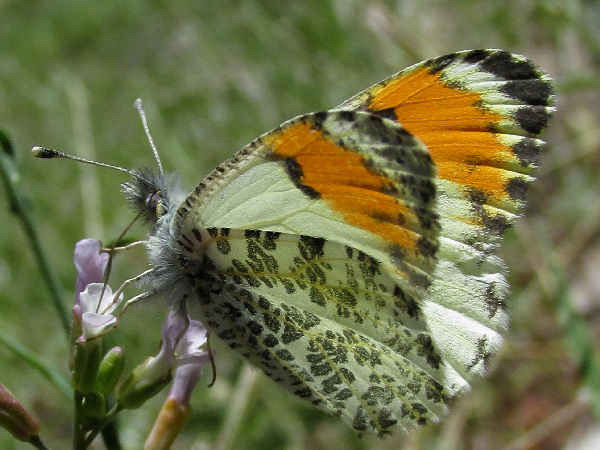 The picture shows a colorful Orangetip species. When it comes to the nine yellow butterflies in the Colias genera, identification can be rough. The picture shows the Western Sulphur. 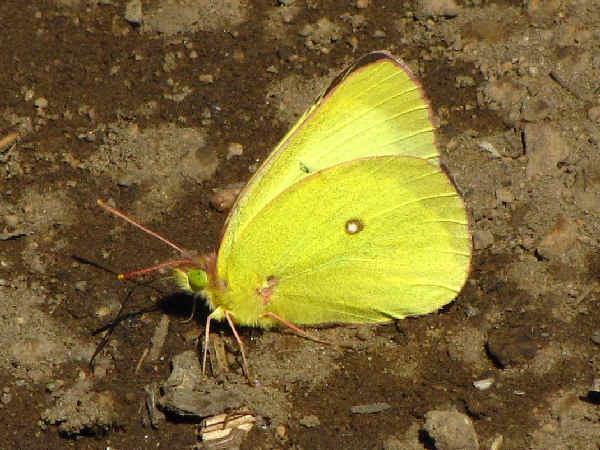 It has cleaner wings (lack of pattern) than the more common Clouded and Cloudless Sulphurs. There’s always something happening with the Gossamar Wing butterflies in Idaho. The list indicates that visitors can go almost anywhere in the state and snap a new picture of blues, hairstreaks and coppers. Identification of blue butterflies can range from fairly easy. Look for chevrons on the underside of the wings for Azures. 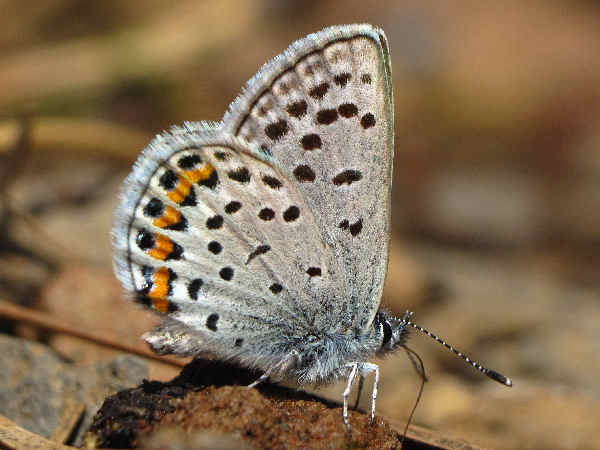 Tailed-blues are the only blues with hairlike projections on the tails. Other species have various numbers of orange spots along the bottom and/or tops of the wings. Melissa Blues, for example, have orange spots along both the upper and bottom wings. The Acmon Blue butterfly in the picture has orange spots on the bottom of the wings. 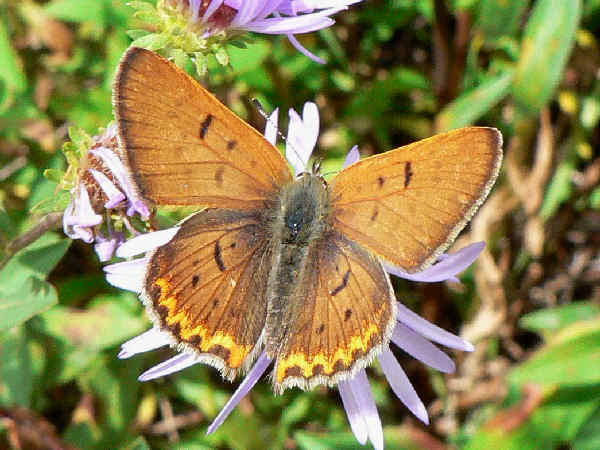 The picture shows a Male Purplish Copper butterfly. Spring comes late to most of Idaho. The brushfoot butterflies don’t really begin having their full impact on the state until late May or early June. A butterfly such as the Mourning Cloak overwinters in many areas of Idaho and therefore it’s one of the first signs of spring when it reappears on the landscape. 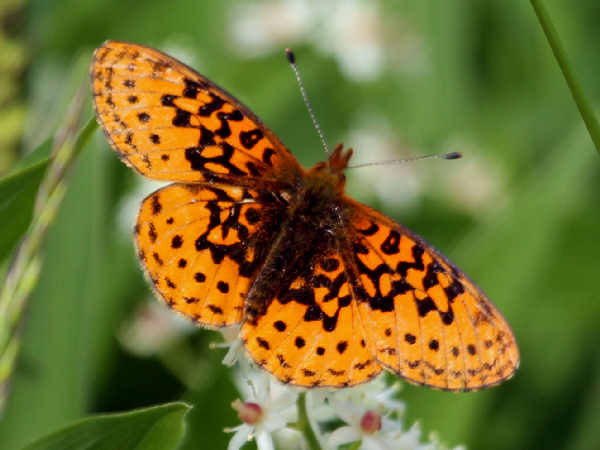 A look down the list shows multiple fritillaries, checkerspots and wood nymphs dominating the Idaho brush footed butterfly category. 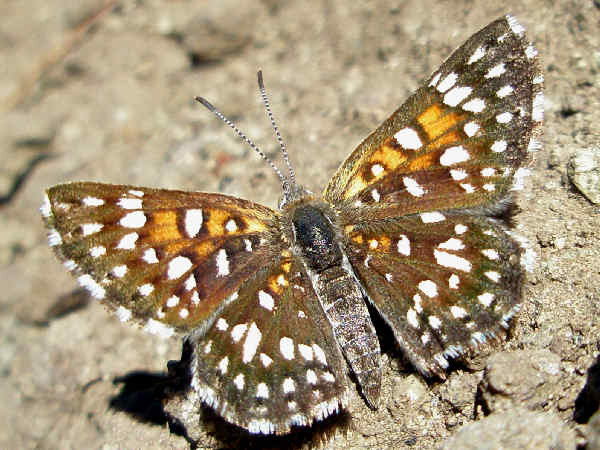 Checkerspots can often be found in residential areas throughout the state. Most fritillary species are partial to the mountain areas. The picture shows a Pacific Fritillary. The majority of Idaho swallowtail butterflies have yellow wings, making identification a bit of a challenge. Subtle differences, for example, differentiate the Eastern, Western and Canadian Tiger Swallowtails. The Western Tiger Swallowtail has a state wide distribution, compared to the limited distribution for the two other species. 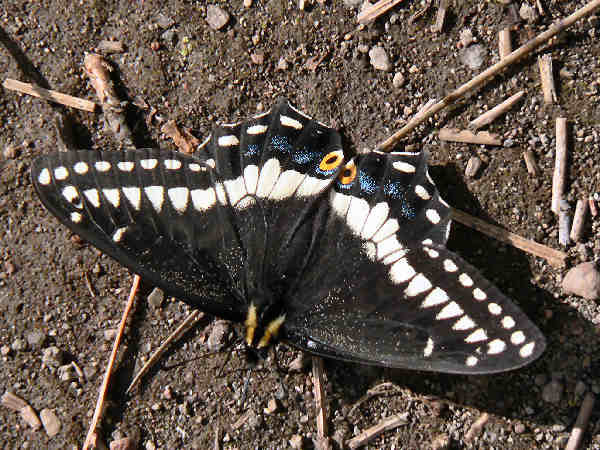 The picture shows an Anise swallowtail. It also has a state wide distribution. The two Parnassian species have transparent wings that often have a white coloration. They too have a state wide distribution. The Mormon Metalmark is the state’s sole metalmark species.